Are councils breaching data protection act and not giving you access to YOUR information? Here’s an article I received from Paul Allison at StudentHousing.co.uk about a private database of HMO (House of Multiple Occupancy) landlords. “Local councils are rating HMO landlords and sharing the information on a secret database, according to information disclosed on a government web site. The database classes a landlord as good, bad or average and is one of the factors considered when making a decision whether a landlord or a manager is a fit and proper person for running an HMO. The database is managed by a London council but councils from all over England are accessing the information and adding their own landlord intelligence. 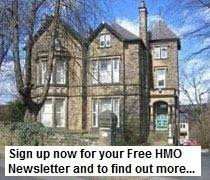 The details are revealed in a Communities and Local Government Department document called Evaluation of the Impact of HMO Licensing and Selective Licensing that is free to download from the CLG web site. The document was published in January 2010. The identity of the council running the database is not disclosed. The information in the document was collected by researchers to support changes in April to HMO licensing and planning rules. One of the problems the database resolves for councils is that many landlords own several HMO properties in different council areas and officers have no way of checking with other councils whether landlords have contravened fit and proper person rules. “Many landlords may have properties in locations across England, this database is now being populated by some authorities from outside of London, and the extension of such a database could provide some assistance to local authority officers assessing the fit and proper status of landlords and managing agents,” says the report. * Convictions relating to violence, drugs , sexual offences, or fraud. Few details about information on the database are known, but the concerns are data protection rules about sharing personal information may not be maintained and how councils rate landlords may be based on inaccurate information that no one can check.